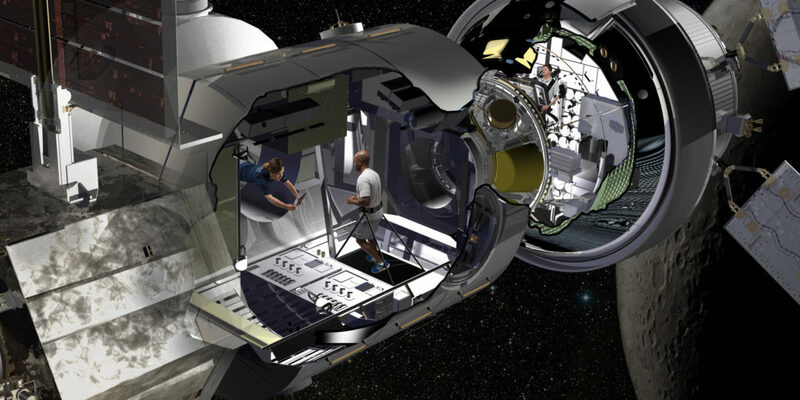 Refurbishing a shuttle-era cargo container used to transfer cargo to the International Space Station, Lockheed Martin is prototyping a deep space habitat for NASA at Kennedy Space Center. This prototype will integrate evolving technologies to keep astronauts safe while onboard and operate the spacecraft autonomously when unoccupied. Under a public-private partnership, NASA recently awarded Lockheed Martin a Phase II contract for the Next Space Technologies for Exploration Partnerships (NextSTEP) habitat study contract. As part of Phase II, the team will continue to refine the design concept developed in Phase I and work with NASA to identify key system requirements for the Deep Space Gateway. 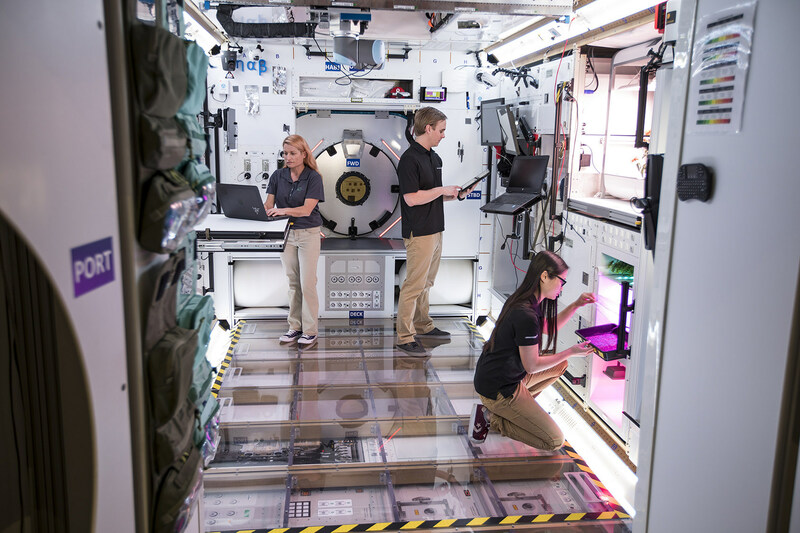 Included in this work, the team will build a full-scale habitat prototype in the Space Station Processing Facility at NASA’s Kennedy Space Center and a next-generation deep space avionics integration lab near Johnson Space Center. «It is easy to take things for granted when you are living at home, but the recently selected astronauts will face unique challenges», said Bill Pratt, Lockheed Martin NextSTEP program manager. «Something as simple as calling your family is completely different when you are outside of low Earth orbit. While building this habitat, we have to operate in a different mindset that’s more akin to long trips to Mars to ensure we keep them safe, healthy and productive». «We are excited to work with NASA to repurpose a historic piece of flight hardware, originally designed for low Earth orbit exploration, to play a role in humanity’s push into deep space», said Pratt. «Making use of existing capabilities will be a guiding philosophy for Lockheed Martin to minimize development time and meet NASA’s affordability goals». The Deep Space Gateway will rely on many of Orion’s advanced capabilities that can be used while astronauts are there, and utilizes capabilities common to Lockheed Martin-built planetary spacecraft like Juno and MAVEN while it’s unoccupied. Employing NASA’s space-proven Orion spacecraft as the Deep Space Gateway command deck early on allows for a safe and practical approach for the incremental build-up of deep space exploration capabilities. «Because the Deep Space Gateway would be uninhabited for several months at a time, it has to be rugged, reliable and have the robotic capabilities to operate autonomously. Essentially it is a robotic spacecraft that is well-suited for humans when Orion is present», said Pratt. «Lockheed Martin’s experience building autonomous planetary spacecraft plays a large role in making that possible».